" The advice I am giving always to all my students is above all to study the music profoundly... music is like the ocean, and the instruments are little or bigger islands, very beautiful for the flowers and trees. " Lisa Furukawa has been teaching piano, music, and Japanese lessons in a private and group setting for almost 20 years. Furukawa is a professional recording artist/songwriter, composer, and international performer. She has performed original music and arrangements of traditional folk, classical, pop, and electronic music at small and large cultural events and media conventions all over the world. From Scottish Ceilidhs in the highlands to large scale Anime and Sci-Fi Conventions around the world, Furukawa has performed a variety of musical styles. She carries her open minded love of music into her teaching. She helps students explore music that will inspire them while developing a solid foundation for technique, rhythm, listening, reading, theory, composition, history, and general appreciation. 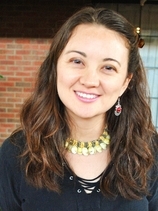 Furukawa received her BA in Music (piano) and Japanese (Asian Studies) from UNC-Chapel Hill where she studied with Michael Zenge and later with Francis Whang. She regularly applies the Taubman technique for injury prevention which she studied with Michael Zenge. She has also studied composition with Allen Anderson, chamber music with Donald Oehler, and voice with Sharon Szymanski. She also studied with Terry Thompson at St. Mary's College. Growing up, Furukawa performed and competed in many competitions through NCMTA, MTNA, RPTA, the Piano Guild, Campbell University, Yamaha, Eastern Music Festival, Durham Symphony and others winning first place, scholarships, superior ratings, and honorable mentions for solo and concerto performances. She has performed in master classes for Paul Schenly, Claude Frank, Nelita True, Rebecca Penneys and many others. She has served as a board member of the SMTA (Seattle Music Teachers Association), member of the MTNA (Music Teachers National Association) and the Piano Guild, and has helped prepare interested students for scholarship auditions and competitions. Furukawa is originally from Tokyo, Japan. She began her piano training at the age of 2 through the Suzuki method. Although she does not teach a strict Suzuki method, she does help students develop ear training and memorization skills and applies some Suzuki concepts for younger beginning students. Furukawa strives to help students enjoy the process of learning and to become responsible, self-motivated learners. She encourages students to keep an open mind, to take on new challenges, to set clear goals, and to work on a variety of music. She hopes each student will discover and expand their understanding of music that they are most passionate about.